MRI stands for Magnetic Resonance Imaging. The purpose of an MRI is to examine the tissue in the body and make diagnosis of things; such as, brain lesions, cancer, spine issues, or a multitude of other conditions. Always follow the direction of your doctor to help prevent the wrong diagnosis or injury when having this test done. You are not suppose to wear anything metal when having an MRI. That includes hair pins, zippers, belt buckles, underwire bras, change, earrings & etc. Make sure to let your physician know if you have something metal that can't be removed ;such as, a pacemaker, dental fillings, or etc. Have you ever had to get an MRI or knew someone who did? I have had the privilege of styling many beautiful ladies hair. On occasion, some of them have gotten a beautiful style they love, just to get to their appointment and have to take out their hair pins, leaving their style unsecure. One of these beautiful ladies was told, "they can where plastic hair pins for the MRI". 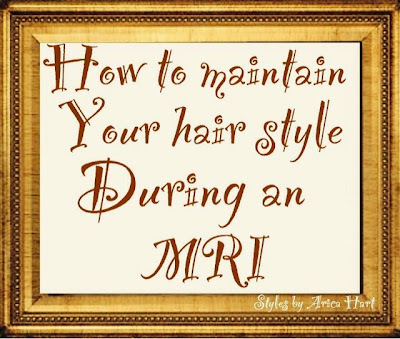 So if any of you need to get an MRI, but don't want to mess up your beautiful style, ask your doctor when your appointment is scheduled if you can wear plastic hair pins. 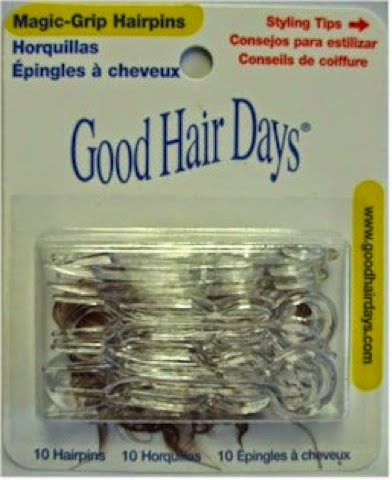 If your doctor approves, pick up some and take to your stylist for your hair style before this procedure is preformed. Here is a brand that I have used on a client for that reason. They may be a little more expensive then regular booby pins, but can be saved to reuse at another time in your hair. They are larger than the bobby pins I usually use, but I must say they served the purpose wonderfully. Some people are allergic to nickel; therefore, they can't use the regular hair pin. 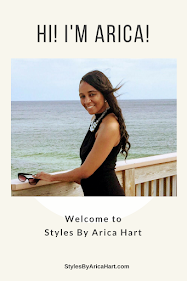 Arica HART, the stylist with a "HEART"